For students with mild to moderate intellectual disabilities. Danebank offers a limited number of places for entry to the Life Skills class for students with mild to moderate intellectual disabilities. This program is offered from Year 7 to Year 12. Students will generally enter the program in Year 7, although places in other years (particularly Year 11) will be considered if vacancies arise. Documentation will initially be reviewed by the School Counsellor who will advise if any additional information is required. Following a review of documentation, and consideration of vacancies and needs within the existing class, suitable students will be invited to an assessment interview with the School’s Special Education Team. This may involve input from other related professionals (eg Speech Therapists, Occupational Therapists, Paediatricians etc). A further interview with the Principal will then take place on the basis of the Special Education Team’s assessment. Places will be offered by the Principal after taking into account all relevant information as well as the result of the interview process. Such offers will also be made with due regard to the balance of needs and abilities of students already in the programme. 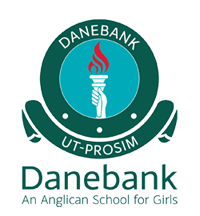 Danebank is well known for the special care provided for students with an intellectual disability. The Life Skills unit has a high success rate with almost all students graduating to employment or further study. The students study a separate Board of Studies Program in two classes, one in Years 7 to 10 and the other in Years 11 to 12. A Half-Scholarship is offered annually (or as applicable) to a student entering Life Skills any of Years 7 to 11. Applications for the 2020 Scholarship program has now closed. 2021 Applications will open Term 4 2019 with all applications to be submitted by 13 March 2020.